They're back and they're even better! 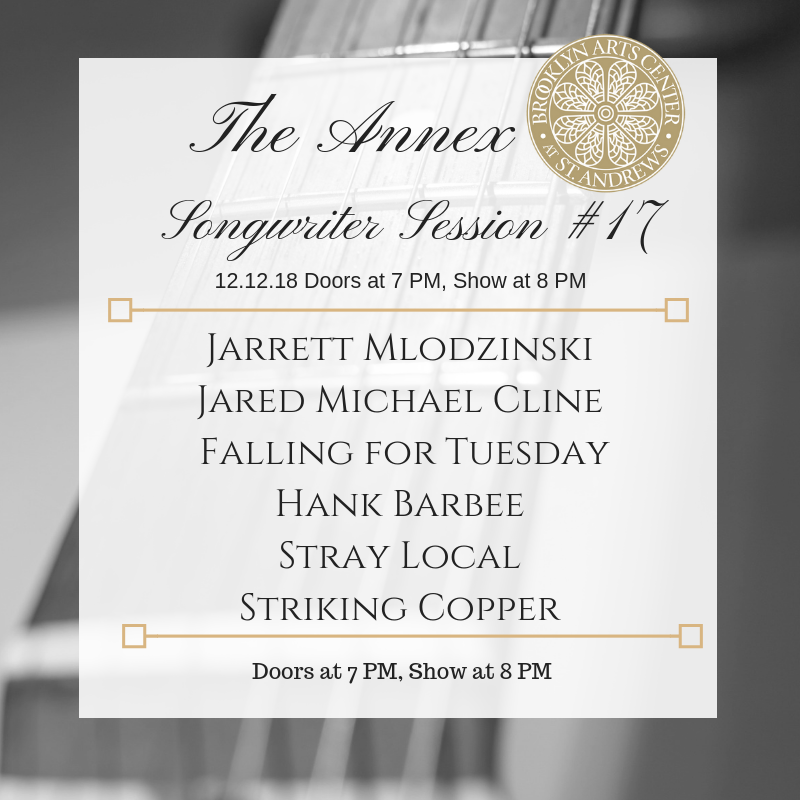 After a four month hiatus, join us again in The Annex at the Brooklyn Arts Center for Songwriter Session #17 on Wednesday, December 12 at 7 p.m..
Six amazing local artists will be performing original tracks, live and unplugged, in the BAC's original 1910 schoolhouse: Jarrett Mlodzinski, Jared Michael Celine, Falling for Tuesday, Hank Barbee, Stray Local and Striking Copper. The Annex is set up perfectly for live music, and you won't want to miss the comeback of Songwriter Sessions-now happening quarterly, every second Wednesday. Admission is $5 at the door. Doors open at 7 p.m., and the show will begin at 8. Parking is free in the North 4th neighborhood. We'll see you in Brooklyn!